A chunk of what you pay towards the Home Loan goes into the interest charges. Though housing loan interest qualifies for income tax deduction, there is a monthly outflow towards the EMI. So, you need to sit down and compare the Home Loan interest rates offered in the market before you take the plunge and apply for a Home Loan. The principal amount, interest rate, processing fees, and service charges are the components of a Home Loan. Depending on your choice of tenure and the interest rate, the EMI (Equated Monthly Installment) is crystallized. With an emi Home Loan calculator, you can be sure of your monthly payouts whilst the amortization tables give you a bifurcation between the interest and principal in the EMI. When you take a Home Loan, you can choose a fixed or floating rate of interest. Under the fixed rate of interest, your loan liability is calculated at a fixed percentage and is incorporated into your monthly EMIs. If you have been lucky to bargain for a low interest rate, or if the market rates are stagnant, a fixed rate of interest allows you to have enough funds to source you EMI and pay off your loan. A floating rate of interest on the other hand can be beneficial when there’s a heavy fluctuation in the market. If the fall in interest rate is steep, your EMI is lowered, helping you prepay and narrow down the loan tenure. In addition to your credibility, there are other factors that determine your Home Loan interest rate. These include the costs at which bank procures funds to finance your loan (through deposit acceptance from customers), loan tenure, swap costs, capital allocation costs, and profit margins. Bank’s cost of procuring funds: In order to lend you funds, the bank sources funds through deposits from the public. If the deposit rates are high, the bank (in order to maintain its profit margin) will charge a higher interest on your Home Loan. Tenure of the loan: Short term loans, especially those with a less than 5-year tenure can be availed at a lower rate of interest. So, if you have sufficient savings or expect a windfall, a shorter tenure Home Loan works in your favor. Competition in the industry: Each bank incurs its own cost of procuring funds. If the market rates are competitive, you can bargain for a lower rate of interest. In order to attract more customers, financial institutions can offer Home Loans with lower rates of interest. Home Loan interest rates determine the quantum and the tenure of the Home Loan you wish to avail. 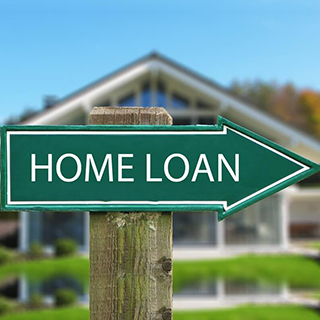 A comparison of Home Loan rates offered by various financial institutions will help you zero down on one that offers you the best interest rate and does not stretch your loan liability.